Warm and inviting Italianate home with five bedrooms and 4 ½ bathrooms. 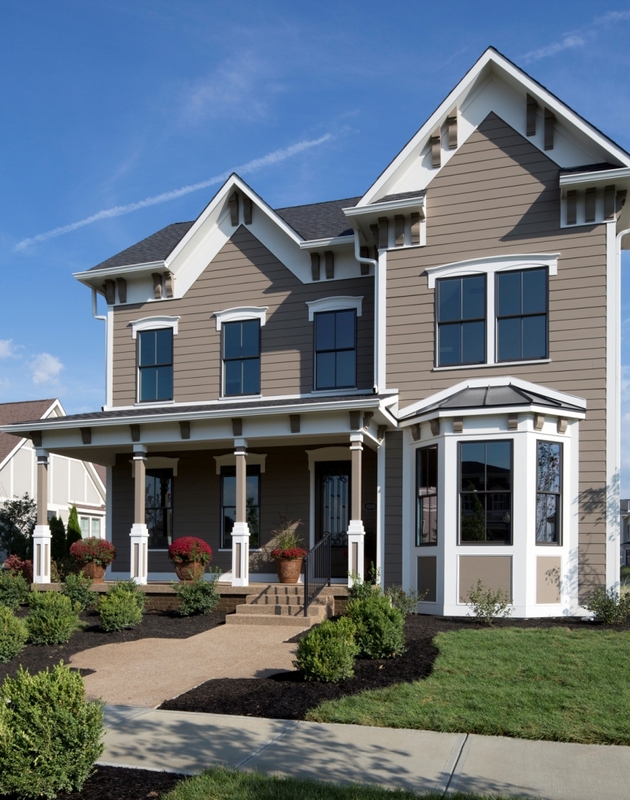 The exterior is accented with custom window trim details, large front porch and bright bay window. The home is nestled on a large lot with easy access to the community pool facility. The main floor features 10' ceilings, 8' tall doors, stunning library with wainscoting and built-in shelving, formal dining room with custom detailed ceiling, open and bright family room, large kitchen with huge center island, large pantry, butler's pantry, breakfast room, convenient computer room off of the kitchen, and a mudroom with built-in lockers and arrival counter. The upper level of this home includes a large master bedroom suite with walk-in closet and separate vanities and coffee bar, three additional bedrooms each with walk-in closets and bathroom access, and a convenient upstairs laundry room. In addition to the large bedrooms, there is also a upstair loft that is perfect for studying or playing video games. The finished lower level includes a large living area, a separate game table area, a family room with home theater, well appointed wet bar, bedroom/exercise room and a full bathroom. To extend the living space there is an amazing outdoor family room with a cathedral ceiling, fireplace and built-in tv area.